"Could he produce a wine better than (and distinct from) Parterre?" asked renowned critic James Halliday in The Australian. 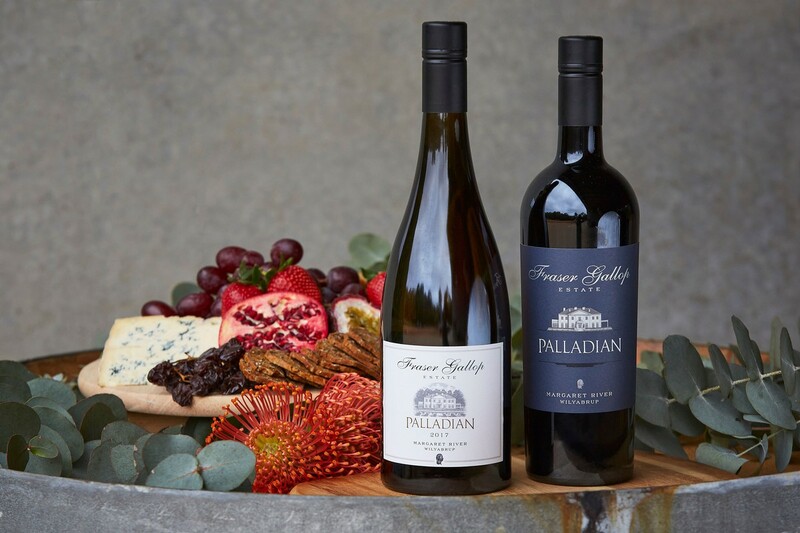 We'd love you to be the judge, and both the 98 point Palladian Chardonnay and 97 point "ethereal" Palladian Cabernet Sauvignon are available to purchase and taste in our cellar door every weekend while stocks last. From time to time, Clive Otto must pinch himself in wonder at how he came to be chief winemaker of Fraser Gallop Estate. He presides over a 300 tonne capacity winery built in 2008 specifically to handle the production of chardonnay, cabernet and semillon sauvignon blanc blends. There is no intention to increase the throughput of the estate’s vineyards, or to undertake contract winemaking. And one look at the immaculately groomed vines in summer will tell you this is a special place, the vines surrounded by acres of mowed grass. Otto is the first to admit he loves tinkering around the edges of making the wines of the estate. He hit the ground running when he made the 2007 Cabernet Sauvignon (his first vintage), which in 2009 won the Decanter World Wine Awards for Best Cabernet Sauvignon in the World. And then there are founding owners Nigel and Dorothy Gallop. Nigel, whose investments outside wine allow him to fund whatever his pride and joy needs, began tinkering with the Parterre Cabernet Sauvignon. Could he produce a wine better than (and distinct from) Parterre? The first decision was to carry out all the fermentation in new, custom built 500l French oak puncheons. But how? The answer was a very large aperture that would allow conventional plunging. Bunches were destemmed, and at the end of 40 days on skins each puncheon was rolled with the aperture open, the marc taken direct to the press, the free run juice returned to the barrels for 22 months’ maturation. And so Palladian Cabernet Sauvignon was born, its first vintage 2013. Palladian Chardonnay’s first vintage was in 2017. Vinification was similar to that of other top end versions, the answer in the vineyard where multiple passes through the growing season reduced the yield to 6.3 tonnes per hectare and the alcohol to 13 per cent. Palladian is the purest expression of place, and the result of our absolute focus on quality. Over twenty years we've learnt exactly which vineyard rows produce the finest grapes, and these are handpicked for the Palladian wines. 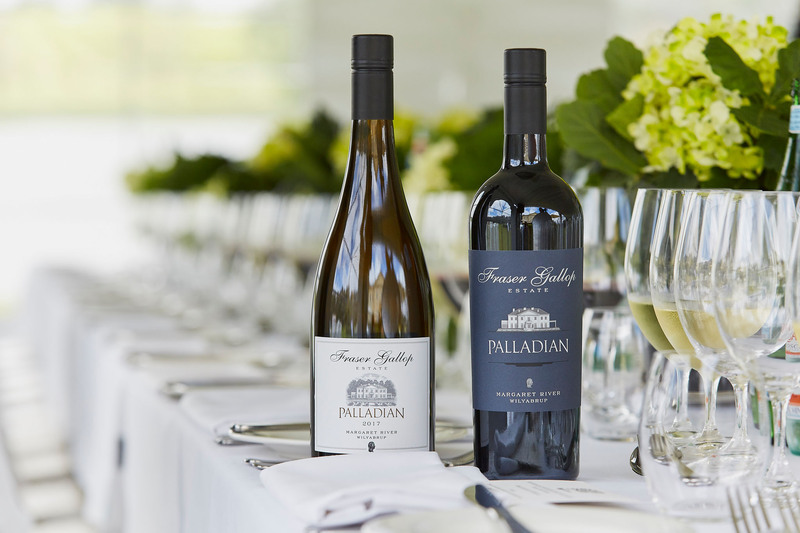 For five years Clive Otto made just three barrels of Palladian Cabernet Sauvignon, and in 2017 he began crafting the first ever Palladian Chardonnay. Both the Chardonnay and Cabernet Sauvignon are wild (natural) yeast fermented. Critical acclaim for the inaugural Palladian Chardonnay is rolling in, as is praise for the latest Palladian Cabernet Sauvignon. Both debuted at the recent Gourmet Escape with a fantastic response from critics, chefs and our loyal clientele. Released in November 2018, the Palladian Chardonnay comes from select rows of our very best low yielding Gin Gin vines. The juice is run cloudy into a mixture of puncheons and barriques, and only 1000 litres is made. 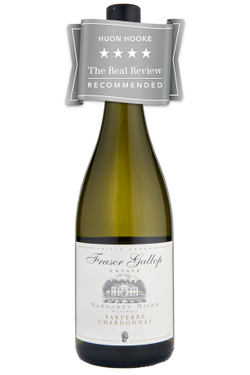 "Fraser Gallop wines are among the best value in the region, and this one is typical. The youthfully subtle bouquet has elements of cashew, almond, honey and butter while the palate is lively with mouth-watering acidity and is tense, refreshing and invigorating. A fine modern chardonnay." "Spicy biscuit oak, zesty lime and grapefruit, kaffir lime leaf, touch of nougat, whisper of struck match. Medium-bodied, intense fruit backed with tasteful spicy oak, gently chalky texture, a bit of sunshine pineapple and vanilla on a long crisp finish. Savoury elements in play, but not thick with winemaker influence, more into purity here. A spicy little unit. Shy as a youngster, and more open coming back to it having been open for a day." "Big and rich and gorgeous with masses of acidity. Exotically floral." 18/20 - Jancis Robinson, tasted unfinished in November 2017. The Cabernet is fermented in new 500 litre vinification puncheons as whole berries. Both Huon Hooke and Gary Walsh scored it 96 points. 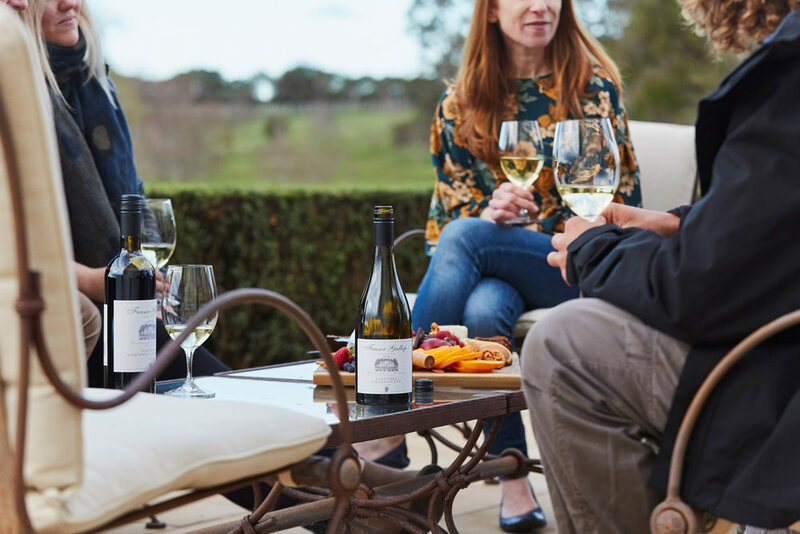 Exciting news just in - the newly released 2017 Parterre Chardonnay won GOLD at both the Langton's James Halliday Chardonnay Challenge and the Six Nations Wine Challenge. "This is a first class Margaret River Chardonnay with a proven track record... 96 points" says James Halliday in his latest Australian Wine Companion. It's an honour to be amongst the crème de la crème in both competitions. 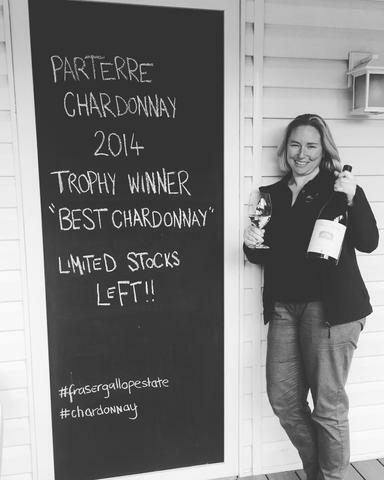 The 2017 Parterre Chardonnay is available to buy online here. Would the clarity and focus of the Margaret River wines stand out from the crowd? Victoria Moore attended a series of wine tastings in November 2017 to celebrate the Margaret River wine region's 50th anniversary. 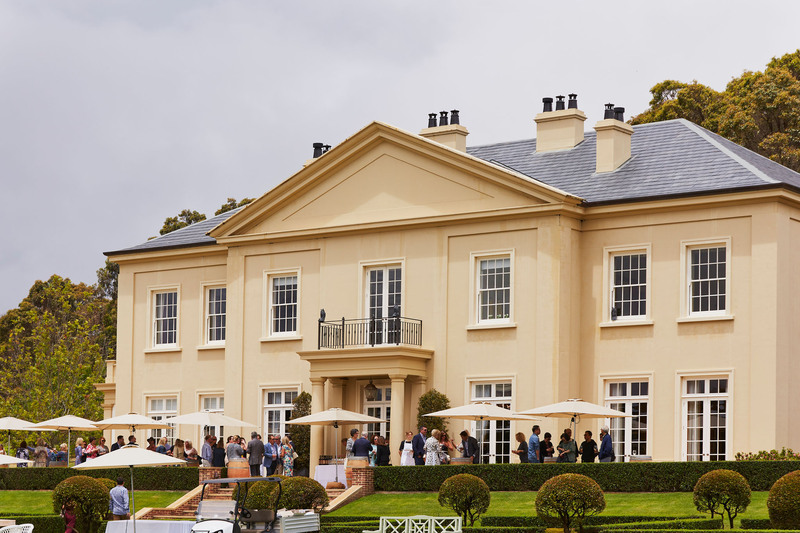 The 32nd annual Cullen International Chardonnay Tasting was hosted by Vanya Cullen who had selected 22 chardonnays from Australia, France and the US. Below is an extract from Victoria Moore's column in The Daily Telegraph, July 2018. Read the full article. "Every so often, an online commenter asks why anyone would be interested in chardonnay when sauvignon blanc (and other grapes) have all the verve and freshness you could ever want (especially, you might think, in this heatwave). This week’s column begins with a riposte to that from Cliff Royle at Flametree in Margaret River (you need to turn on your internal Australian accent as you read in order to do it full justice). An astonishingly good chardonnay, with great freshness, focus and clarity. It’s reminiscent of nectarines, lemon blossom, and lemon mousse, with a brush of roasted nuts. This estate makes superb cabernet sauvignon and sauvignon-sémillon as well. What a thrill - Huon Hooke awarded our 2014 Parterre Cabernet Sauvignon 95 points, and described it as "beautifully flavoured and intense in the mouth, poised and elegant with tight, refined structure and good persistence." This is the same vintage that won Gold at the Margaret River Wine Show in 2017, as did the 2013 and 2015 vintages. We eagerly await another stellar review in the Australian Wine Companion next month, and urge you to stock your cellar before it runs out. Meanwhile, Hooke rated the 2017 Parterre Chardonnay 94 points, and said it was "top value for money". Medium to deep red/purple colour, bright and fresh, while also describes the nose, which is very aromatic and has charming floral violet overtones over raspberry and mulberry-like fruit. Hints of vanilla, briar and cedar as well. The wine is beautifully flavoured and instense in the mouth, poised and elegant with tight, refined structure and good persistence. It's tightly coiled and compact, and promises to richly reward cellaring. Light straw colour and a shy, faintly nutty savoury bouquet, which grew and grew as the wine aired. Complex cashew, almond, honey and butter nuances later. The palate is bright and enlivened by frisky acidity, which helps extend the finish. It's mouthwatering and tense, refreshing and invigorating. A lovely modern chardonnay, even better with fish or seafood. Top value for money. Internationally renowned wine critic Jancis Robinson visited Margaret River and Fraser Gallop Estate as part of the 2017 Gourmet Escape. 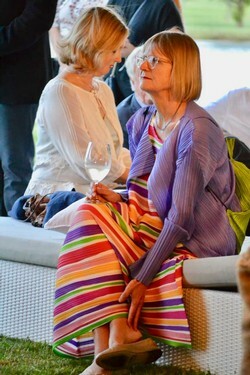 She attended the Cullen Wine International Chardonnay Tasting, an event started by Dr Kevin Cullen in the mid 1980s to 'benchmark Margaret River Chardonnay against the world's finest examples and improve the breed'. Jancis tasted the Fraser Gallop Estate Parterre Chardonnay 2013 in a blind tasting that included eight wines from Margaret River, seven from the rest of Australia (mainly Victoria), one from California, one from Oregon and five from Burgundy. Jancis states "virtually all my favourite Chardonnays came from Margaret River – scoring them more highly than several grands crus or their equivalents from Burgundy, including wines from such illustrious producers as Leroy and Leflaive. And if we were to take price into account, this tasting is a walkover for Margaret River." We are delighted to have one of the highest rated Chardonnays in the tasting. While the 2013 vintage is no longer available to purchase, you may see it on the menu at future wine dinners and Gourmet Escape events. Wilyabrup. 100% GinGin clone. Yields down 30% due to a storm in the last week of November. Whole-bunch pressed before a 24-hour cold settle and gravity flow into barriques for wild-yeast fermentation. 10 months in oak, of which a third was new, with weekly lees stirring in the first month. Read the full article 'Triumph for Margaret River Chardonnay' by Jancis Robinson. Gin Gin clone. Metricup Road vineyard, Wilyabrup. Winter rainfall arrived early in the season, which then eased off in the later half and into spring. This provided the region with a warmer than average spring; predictions for another early vintage were being made. Rain returned in December, and the weather returned to normal through to the second week of January. Harvested February 2016, 10 months in new and older French oak barriques. The Fraser Gallop Parterre Chardonnay 2016 is available to purchase online and at cellar door. Jancis Robinson visited the Margaret River region as part of the 2017 Gourmet Escape food and wine festival. 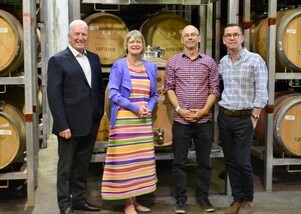 She tasted the Parterre and Palladian range in the barrel room, and shared her thoughts on the quality of Fraser Gallop Estate and Margaret River region wines. This is an extract from her article "A Margaret River Assortment" published on 4 January 2018. Entrepreneur Nigel Gallop is a major force in Margaret River. He hosted the massive opening party for Gourmet Escape in the grounds of his neo-Palladian villa, so extensive that we all had to be shuttled in from the car parks. The 20-ha estate is located on the highest point in the Wilyabrup subregion (I heard surprisingly little discussion of subregions during my recent visit, perhaps because harmony was the prime aim of these half-century celebrations). This means that, although Fraser Gallop is 7km from the coast, its elevation means it is affected by many an ocean breeze. All vines here are dry-grown. The dominant variety is Cabernet Sauvignon, grown on 9 ha (22 acres), supplemented by other red Bordeaux varieties and 7 ha of Chardonnay. 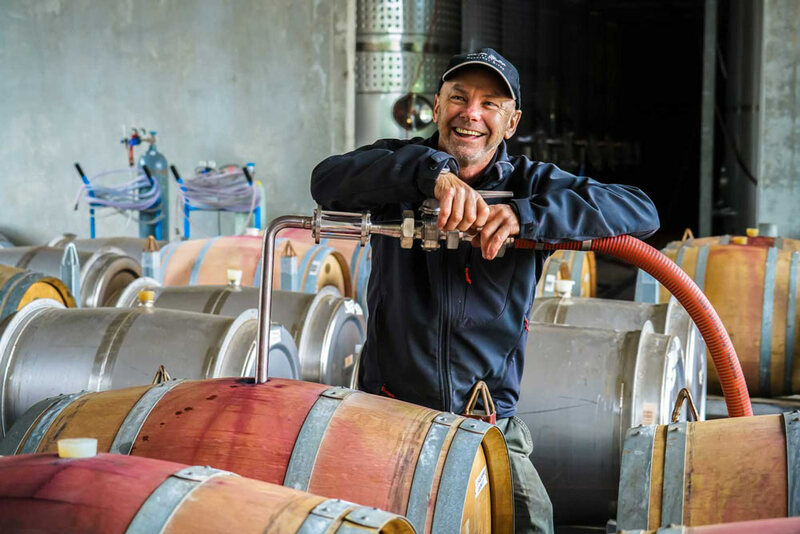 The extremely dedicated winemaker is Clive Otto, who moved here from Vasse Felix in 2006. He revels in using different sorts of barrels - seven in all, many on rollers for ease of access - for each of the wines he makes. He sells barrels as well as making wine so, as he puts it with a smile, 'I know what everyone else is doing'. He did the 2009 vintage at Domaine de Chevalier and the 2014 one at Pichon Baron and was particularly interesting (to wine students anyway) on comparisons between what is done at this Pauillac Supersecond and what he does for his Parterre Cabernet. Pichon Baron crushes fruit whereas Parterre is whole bunch. At Pichon they start fermentation straight away but for Parterre he imposes a four-day cold soak. At Pichon, innoculation encourages malolactic conversion at much the same time as alcoholic fermentation whereas it takes place afterwards for Parterre. The Pichon fermentation is a bit warmer than Parterre's and Pichon is pressed sequentially to barrel so all barrels are different whereas Parterre's identical barrels are filled from one big tank. Pichon spends 12 months in oak, Parterre 18. He sees himself as a Cabernet specialist and claims that the new policy of producing three levels of Cab - Estate, Parterre and a new top-of-the-range Palladian - was inspired by the strict selection at Pichon. But note from my tasting notes that the most basic level, Estate, is made in very much smaller quantity than the Parterre. 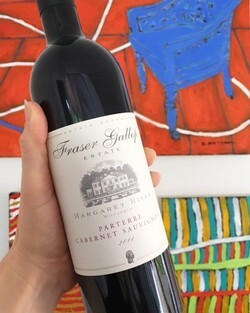 The 2013 Fraser Gallop Parterre Cabernet Sauvignon won Gold in the Six Nations Wine Challenge last week, the latest accolade for a "totally delicious and stylish Bordeaux Blend" (James Halliday, 2017 Halliday Wine Companion). The 2013 vintage has since sold out, and the 2014 was released in November. Winemaker Clive Otto says, "The 2013 Parterre Cabernet Sauvignon has certainly been garnering a lot of praise from the wine press and wine drinkers but the 2014 is from a classic Cabernet year in Margaret River and looks likely to fill its shoes quite nicely." Purchase the 2014 Parterre Cabernet Sauvignon online or call cellar door on 08 9755 7553 to place a order.